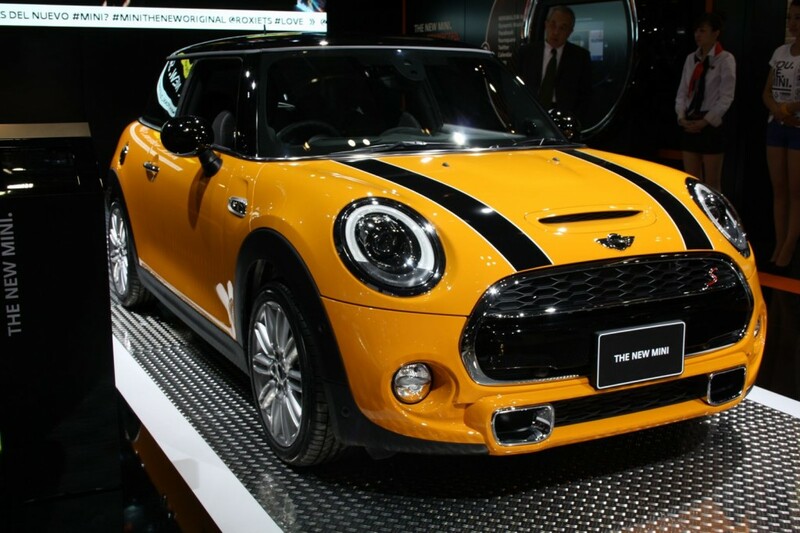 The third-generation of the BMW’s Mini has been revealed to the public in Japan, with the Bavarian firm using the Tokyo motor show to showcase the latest model of what first arrived on our roads over 13 years ago. Styling can be described as evolutionary rather than revolutionary, although there are plenty of changes to keep the Mini purists happy. The new F56-generation is host to new technologies, and perhaps something that was expected by some, a range of three-cylinder engines that the Mini will share with its BMW cousins. An initial line-up of the Cooper, Cooper D and Cooper S models will be available at launch next spring, whilst the One, Clubman and Countryman derivatives will soon follow and there are other models rumoured to join beyond that. The new Mini is 98mm longer, 44mm wider and 7mm taller than its predecessor that results in bigger dimensions in the cabin and boot space is improved by 30 per cent to 211 litres. More importantly, perhaps, are the 1.5-litre three-cylinder units that will be implemented in the Cooper and Cooper D models. Each will be turbocharged, with the former producing a generous 12bhp upgrade to a total of 134bhp and the diesel power-plant will have a lower 114bhp on tap, but return a mighty 80.7mpg. The Cooper S features a 2.0-litre petrol unit that has an output of 189bhp and emits just 133g/km of CO2 – less than the outgoing Cooper. Prices start at £15,300 for the Cooper, £16,450 for the Cooper D and £18,650 for the pleasure of the Cooper S.
Three all-new transmissions will be offered, with a six-speed manual being the standard gearbox that has a rev-matching system on downshifts. A six-speed auto ‘box is optional across the board, with a sports version of this is also available. A more mature look has been given to the new Mini on the inside, with higher-quality materials on show and an optional system that uses a similar interface to that of BMW’s iDrive. Meanwhile the large centralised speedo normally found in the centre has been moved over to be in front of the driver, replaced by an 8.8-inch infotainment screen. It is likely that more details on further models will be released closer to the spring launch date, and you’ll no doubt be able to find out more at your local Mini dealer such as Cooper Mini.